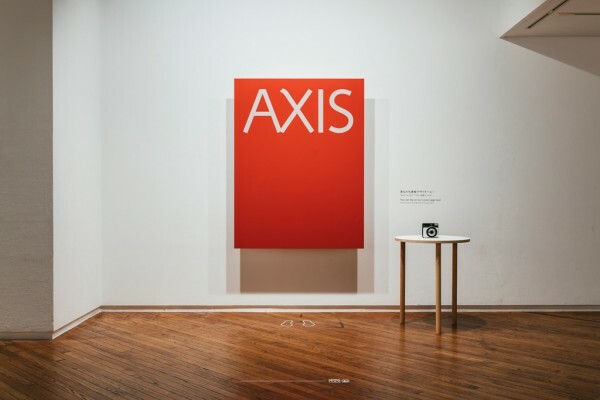 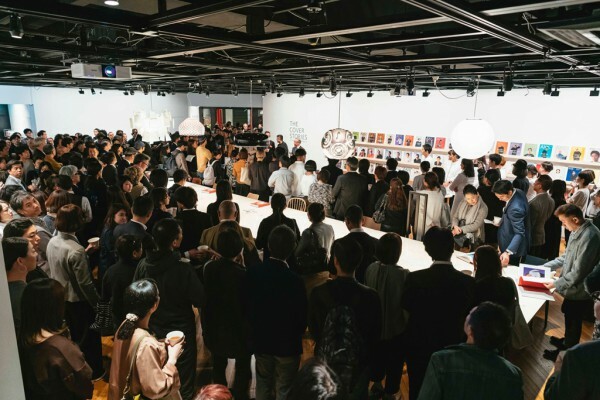 We designed the venue for the exhibition held at the AXIS GALLERY coinciding with the publication of "AXIS THE COVER STORIES", a collection of interviews with designers that have appeared on the cover of design magazine AXIS over a period of 20 years. 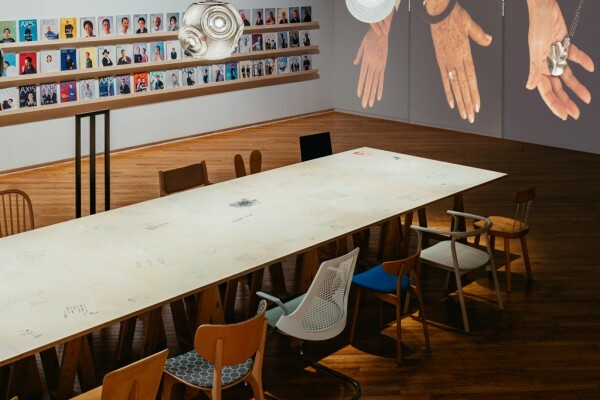 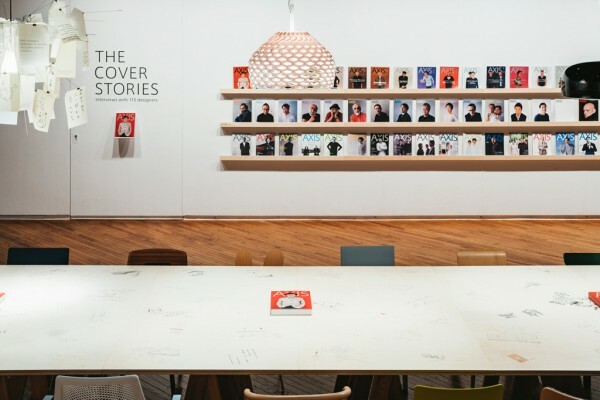 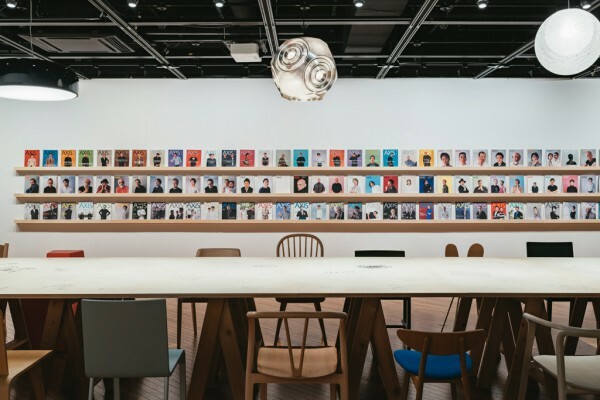 Deliverables included a space to foster dialogue with visitors through a retrospective of back issues and daily talks by designers featured on the magazine covers. 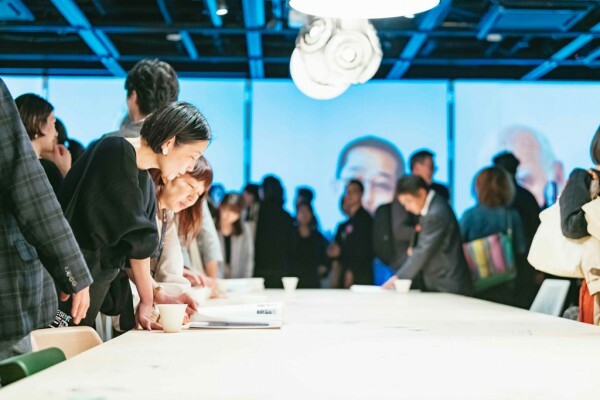 Handwritten messages by 115 designers were etched on the top plate of a big table in the middle of the venue. 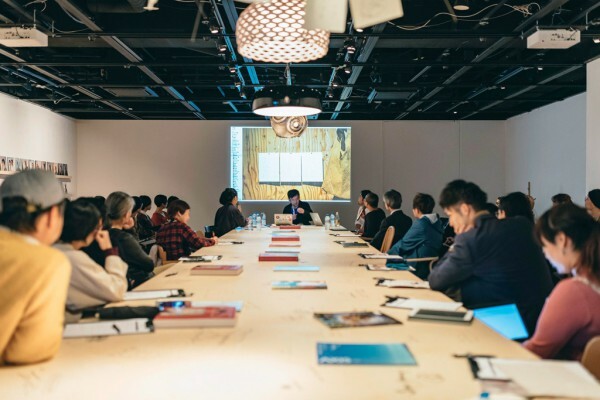 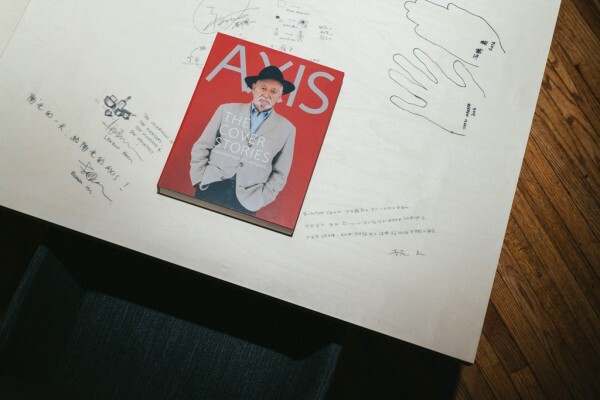 Furthermore, by selecting products made by the designers themselves for the chairs and pendant lightings, we created the impression that all those who have adorned the cover of AXIS are gathered together. 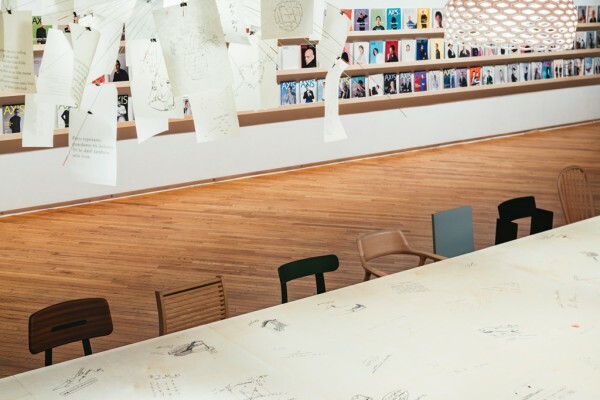 On the walls, 20 years of back issues featuring 115 designers and the "must-read books" that influenced them face each other on each side of the central table for browsing. 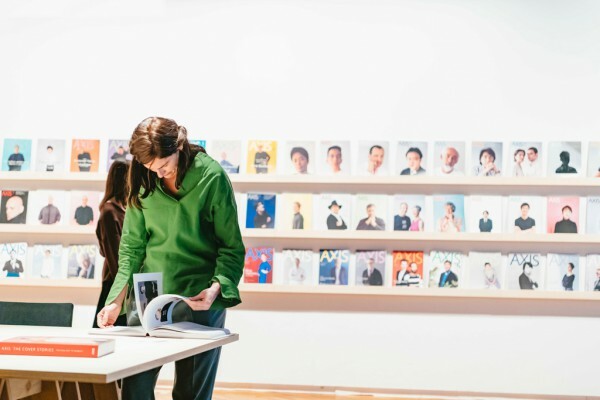 Moreover, an enlarged AXIS magazine cover serves as a background for an impromptu photo booth so visitors can experience being on the cover of the publication themselves. 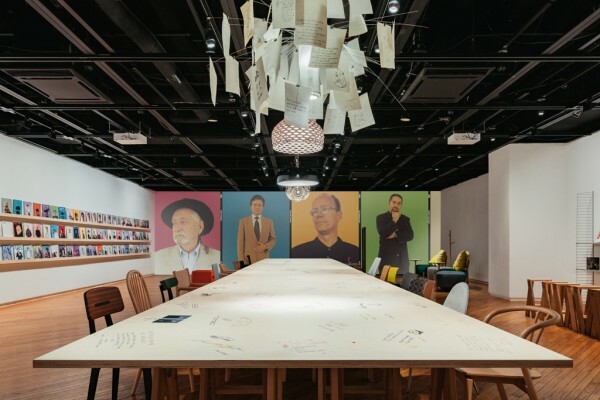 Taking inspiration from the portraits and interviews compiled in this latest volume, we sought to create a space with a simple facture where visitors could come in contact with the words left behind by iconic designers.